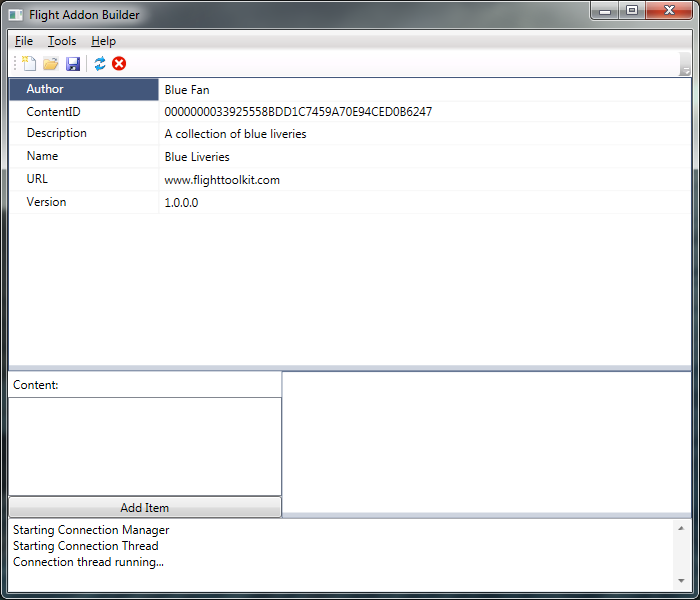 This tutorial will run through the steps of creating and naming your new addon. 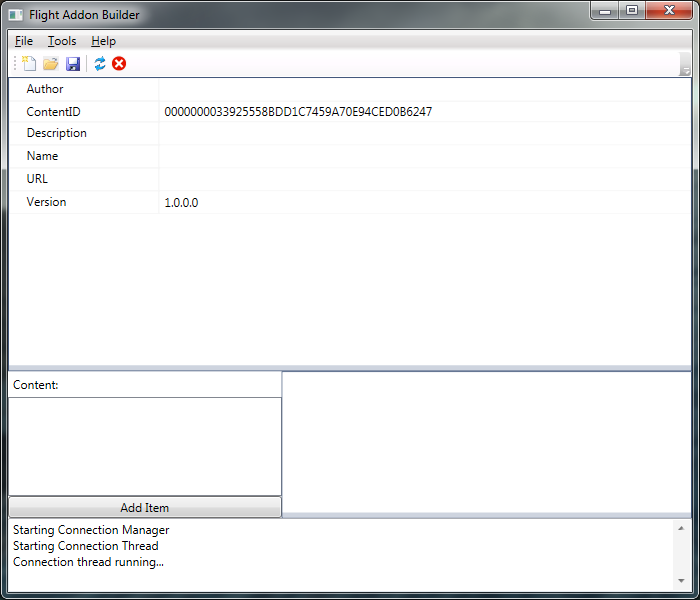 Start by running the Flight Addon Builder (you should be able to find it in All Programs\Flight Tools\Flight Toolkit\Addon Builder). The below image is what you should see. The first three buttons on the tool bar are your standard New, Open and Save. The 4th icon is a button is used for rapid iteration. The 5th button will turn green if Flight is running and the tool has a valid connection. This needs to be green before rapid iteration functionality will work. 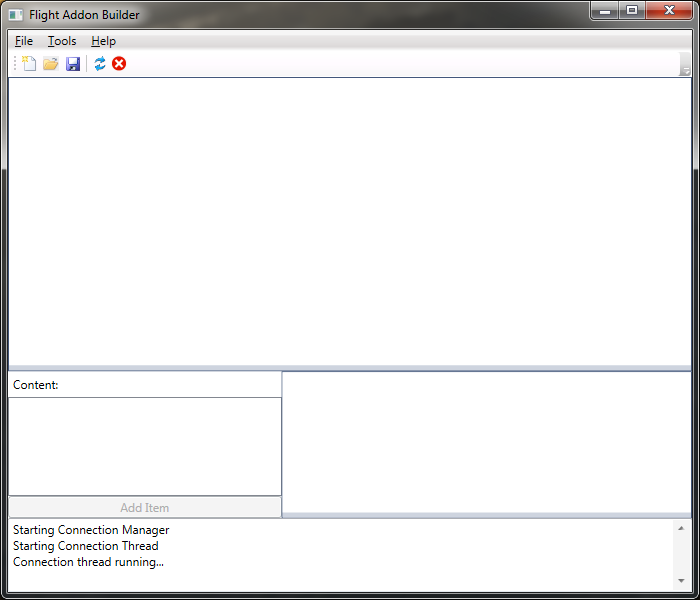 Those are the basics on how to create a new addon. Make sure to save your addon once you enter the details for it. You can open it later when you want to continue working on it. Continue on to the next tutorial to add new liveries to your addon.